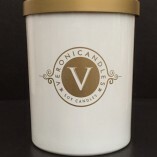 Located in the heart of Los Angeles, Veronicandles is passionate about creating the best homemade scented soy candles. 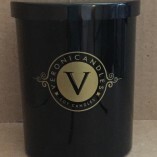 Our candles are made from 100% soy wax, lead-free wicks and top of the line fragrances. Each of our candles are hand poured one by one and made with extra love and care. Our vision is not only to provide our customers with the highest quality products but to also create scented candles that will inspire your mood. Light one of our candles and smell your way to a world of relaxation.